Coleman Taylor Transmissions is the premiere transmission service and repair facility in Jackson, MS. We are a family operated transmission repair shop, completely focused on doing whatever it takes to ensure our customers are comfortable, informed and completely satisfied! Our professional, ASE Certified Technicians have the experience and training to provide automatic transmission repairs, rebuilds, transmission flushes and more. We can also handle many of your auto repair and maintenance services in Jackson, everything from oil changes to brake repairs. And for further customer convenience, we proudly offer a 5 year/100,000 mile warranty! Needing transmission repair services is never convenient, but to make it a little easier we always provide FREE transmission inspections with NO obligation and NO disassembly! 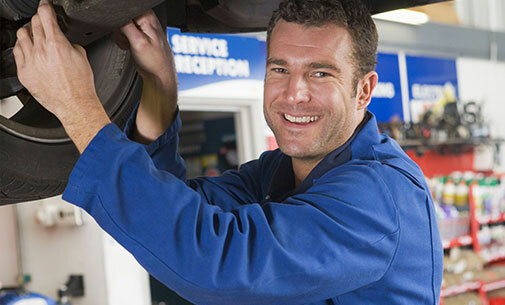 We promise to only recommend the auto repair services that your vehicle needs, providing you the cost of your repair without any high-pressure sales. It’s one of the many reasons our customers love to refer our transmission repair services to their friends and family in Jackson, MS! So give us a call today at (601) 355-8526, or easily schedule your appointment online. 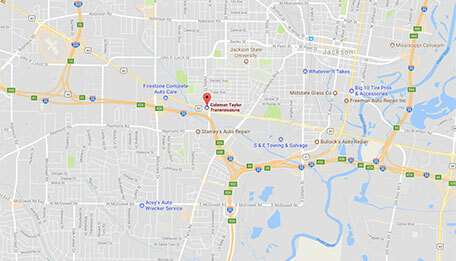 Coleman Taylor Transmissions is conveniently located at 1804 Highway 80 W in Jackson, MS. We look forward to getting you and your vehicle back on the road quickly and easily. Coleman Taylor Transmissions: driven by you! "Whatever It Takes For Customer Satisfaction." Ask About Our 5 Year, 100k Mile Nationwide Warranty!